into balls. To make the balls uniform in size, I use my tablespoon to scoop the dough, just filling it. Then I roll the dough into small balls between my hands and then roll them into a mixture of sugar and cinnamon and place them on a baking sheet, not crowding them. 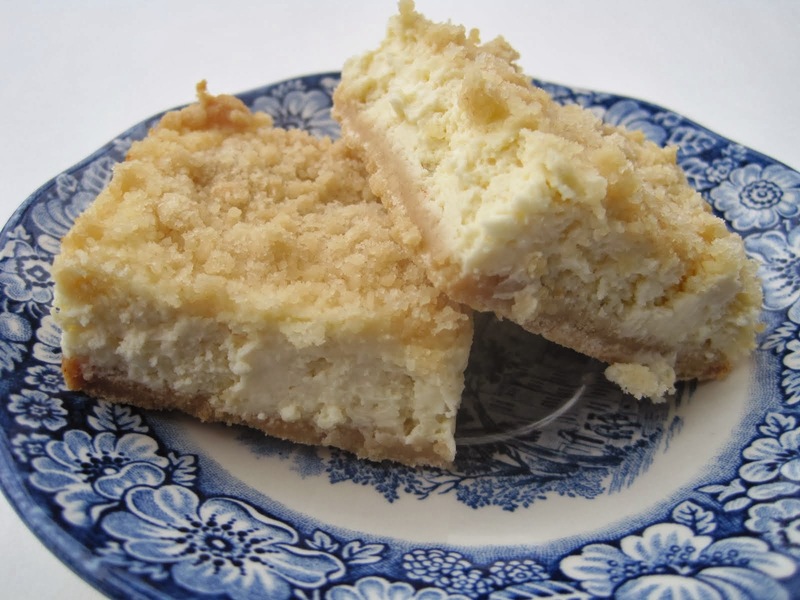 You must give them room to spread, because as they bake they spread out and puff up and you don't want them to be deformed because of crowding. 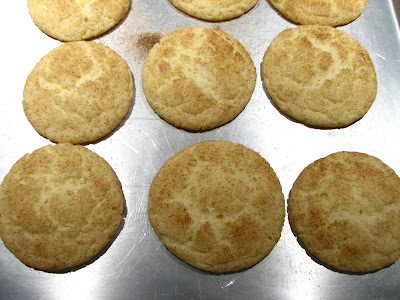 The Snickerdoodles will appear to be "crinkled" on top and if you want them to be soft and chewy, they will still look a little wet when removed from the oven. 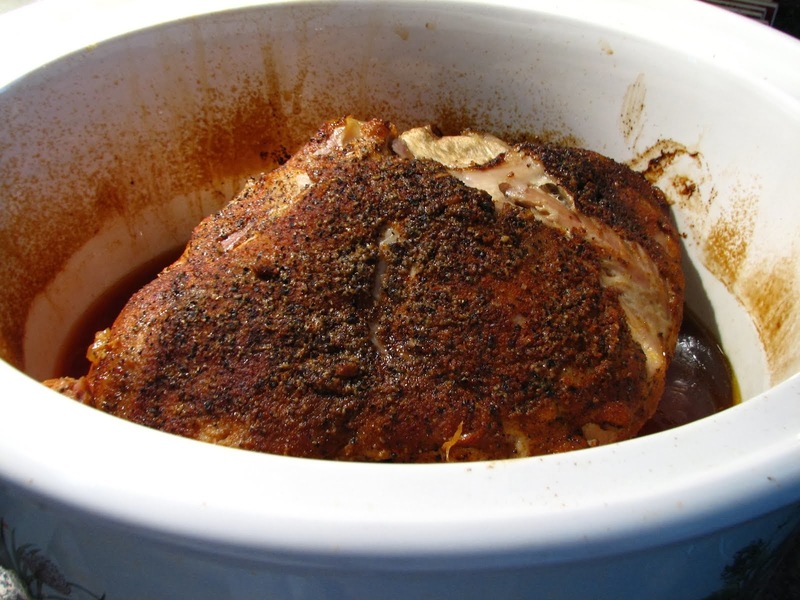 They will flatten out during cooling. Also, they do better if when you take the pan out of the oven, let the cookies rest on the pan a few seconds and then remove them to a wax paper lined pan to cool. Snickerdoodles tend to fall apart when placed on wire cooling racks. So, let's get busy! Stir dry ingredients into butter mixture. Cover bowl with plastic wrap and chill in fridge for at least 2 hours. When ready to bake preheat your oven to 400 degrees. Roll dough into balls the size of small walnuts. I use my tablespoon measure to make sure the cookies are similar in size. 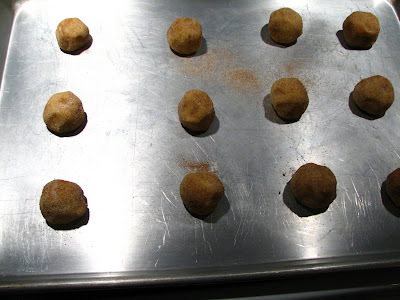 Roll each ball of dough into cinnamon sugar mixture made with 1 tablespoon sugar and 1 teaspoon cinnamon. Place balls about 2 inches apart on ungreased cookie sheet and bake at 400 degrees for about 10 minutes for soft cookies. The Snickerdoodles will still look wet. Remove from oven, let rest on pan for just a few seconds, then remove cookies to waxed paper to cool. Or, you can just eat them warm from the oven. They are so good! 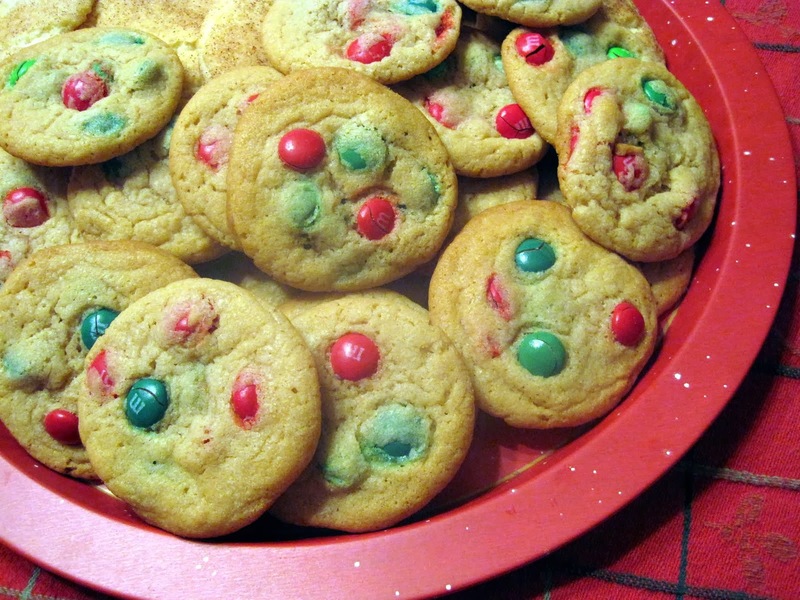 What are your favorite cookies to make? 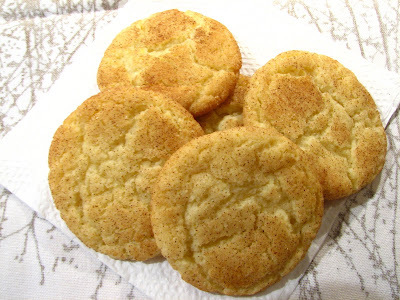 Your snickerdoodles look perfect! These are one of my favorite cookies. Those look like the most perfect snickerdoodles ever! Yum! I came this close to making snickerdoodles today, but instead made chocolate chip cookies that turned out really yummy but flat as a pancake. Should have gone with my original craving! My very favorite cookie - they look amazing.